Here at Acorn Removals we also offer our customers a European removals service which takes the stress out of your relocation to sunnier climates. Our special service allows you to hire one of our 18-ton trucks and its driver from the UK to anywhere in France, Germany, Spain, Portugal, Italy and Scandinavia. For those looking to relocate back to the United Kingdom from these countries we also offer a return service. Like our UK removals service, we also offer our customers the opportunity to have unusual items like cars or pianos transported to Europe. Also like our UK service, we can guarantee you that we will ensure your beloved items arrive at their destination on time and in perfect condition. 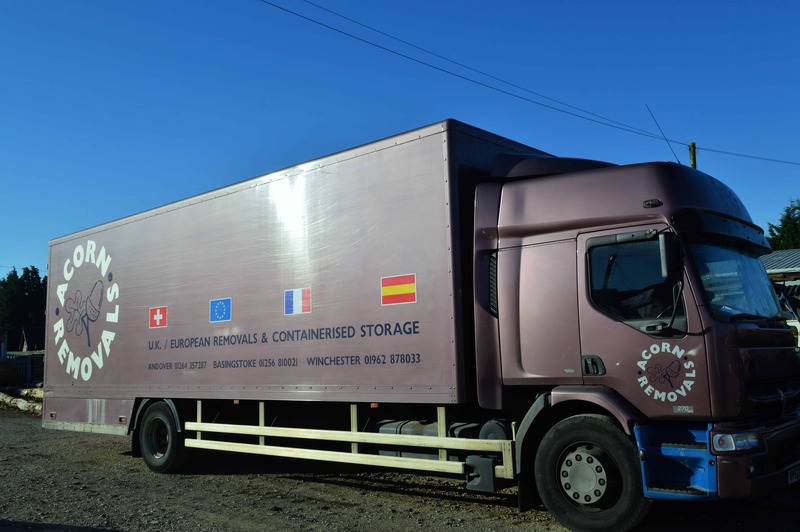 If you would like any more information about our European removals service, please do not hesitate to contact us. Alternatively, you can fill out our enquiry form. We are a family run business, established for over three decades, providing our customers in Andover, Amesbury, Basingstoke, Newbury, Overton, Whitchurch, Winchester, Salisbury, Kingsclere and Romsey with a high-quality tailor-made service. We provide a packing service and storage facilities along with our household removals from single items to whole house contents throughout the UK and Europe. Our special service allows you to hire one of our 18 ton trucks and its driver from the UK to anywhere in France, Germany, Spain, Portugal, Italy and Scandinavia. Discuss all your moving and removal requirements. You can either contact us at one of the following or fill out our enquiry form.